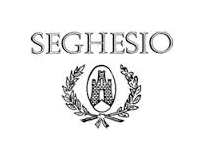 The Seghesio family has been producing and refining premium red wines in Monforte d’Alba for over a century. However, it was only in 1968 that Renzo Seghesio started selling his wines under his own name. The attentive care of the vines, the accurate selection of the grapes, the focused work in the cellar and the unique characteristics of the Pajana della Ginestra historical Barolo vineyard, assure the great quality of Renzo Seghesio’s wines. Thanks to his long and extensive experience as winemaker, Renzo Seghesio has been able to successfully combine unique excellence and tradition.